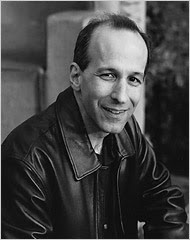 Joshua Henkin is the author of Matrimony (reviewed here by fellow Brooklynite Jennifer Egan). He's also a born-and-bred New Yorker, and he's got a bunch of readings coming up in our town -- see the Brooklyn listings at the end of this post. While his opinions on the state of indie bookstores may not reflect the opinions of The Written Nerd, its affiliate or subsidiary blogs, etc., I am most grateful to him for re-starting the Brooklyn Lit Life series for the fall. And you can be grateful for the free book he's gonna give you! Just email me with your suggestion for the next subject for Brooklyn Lit Life (contact information is helpful) -- first person I hear from, Joshua will send you a signed copy of Matrimony. Read on! Ah, my particular literary project. How grand-sounding! My particular literary project is waking up earlier than I’d like and getting my four-year-old and two-year-old off to school and daycare, respectively, and then tying myself to my chair, turning my computer on, and forbidding myself to check email for the next several hours. Enough of those days pile one on top of the other and, if I’m lucky, I end up with something salvageable. My most recent novel, MATRIMONY, which took me ten years to write, was published by Pantheon last October and in paperback from Vintage on August 26. It is, unsurprisingly, about a marriage. It’s also about friendship, class, poor people who want to be rich and rich people who want to be poor, sickness and health, and so on. My new novel, already overdue at the publisher, is tentatively titled THE WORLD WITHOUT YOU and takes place over a July 4th weekend at a family reunion in the Berkshires, the occasion for which is the anniversary of the brother’s death; he was a journalist killed in Iraq. I was living in Ann Arbor, my then-girlfriend/now-wife was a graduate student at Columblia, we’d been doing the long-distance thing for two years, and we decided to move in together. So I packed my bags and came east. Beth was living in Morningside Heights, but I’d grown up in Morningside Heights and my parents still lived there, and though I may have been willing to move home, I wasn’t willing to move HOME. I had my heart set on Brooklyn, knowing little about it other than that it was now different from the place where I’d visited my great aunt. Friends of friends were moving out of an apartment in Park Slope. Beth and I went to check it out. It was 1999, and the apartment was a two-bedroom with lots of space, light, etc., and it was renting for 1500 dollars a month. Just to convince ourselves, we allowed a broker to take us to a couple of places in SoHo and the East Village for the purposes of comparision-shopping. We signed the lease an hour later. Brooklyn’s too big to have a single sensibility. If it drifted apart from the other boroughs, it would still be something like the fourth biggest city in the U.S. It would be bigger than Houston, I believe, and I don’t think Houston has a sensibility, or if it does, I don’t know what it is. Yes, indeedy. I live in Park Slope, and if I’m forced to read another article in the Sunday Styles section about the war between the strollers folks and the nons-strollers folks, I’m going to puke. Park Slope is a stereotype, and, alas, I’m part of that stereotype. My wife and I bought our place in 2003, but not before she was pregnant. And we already had a golden retriever! So there were no problems with the coop board…. My neighborhood is going in the direction of everybody being priced out. Jackson Heights advertises in a Park Slope [paper]. There’s a bus that goes directly to Montclair and Maplewood. Brooklyn has a dense population of writers because writers by and large are poor, and Brooklyn is cheaper than Manhattan. Now that Brooklyn has gotten expensive, I suspect its dense population of writers will migrate elsewhere. Although I live in and love Brooklyn, I don’t consider myself part of a literary scene. Most of my friends aren’t writers. That said, I would be remiss if I didn’t put in a good word for Brooklyn College’s MFA program, where I teach (I also teach in Sarah Lawrence’s MFA program), and where the students are talented and charming and Brooklynites, most of them, and through the reading series at Perch and their work on the Brooklyn Review, they’re making significant contributions to the Brooklyn literary community at large. It’s one of the best things literary Brooklyn has going for it. I also love the Brooklyn Writers Space on 5th and Garfield, where, thanks to the white noise machine and the fact that I haven’t learned the Internet password, I get more writing done than anywhere else. There are lots of other good Brooklyn literary institutions: Community Bookstore in Park Slope, Bookcourt in Cobble Hill (plug for my paperback book tour: I’ll be reading at both those stores in early September), One Story, A Public Space, the Pacific Standard Reading Series, among others. See answer to next question. I wouldn’t mind if the Strand were in Brooklyn. Manhattan in general beats Brooklyn when it comes to large independent bookstores. Beyond the Strand, there’s McNally-Robinson (now McNally Jackson) and Book Culture (formerly Labyrinth.) Shortly after I moved to Park Slope, Book Link closed, and in my time here a used book store opnened on 7th Avenue, first with two branches, one for adult books and one for children’s books, which then got consolidated into a single store, which then closed down. Community Bookstore seemed on the brink of closing at one point, though now I gather it’s doing better. Bookcourt feels like it’s doing OK, but what do I know. This isn’t a Brooklyn problem; it’s a nationwide problem. Indie bookstores are hemorrhaging everwyhere. 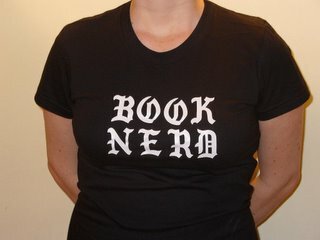 And it’s not just bookstores, of course. The book business is like any other business. The Tea Lounge on 10th Street and 7th Avenue, a south slope institution, recently closed due to an increase in rent, to be replaced, no doubt, by a bank. Please note: The reading will take place across the street from the main synagogue, in the Temple Rotunda.